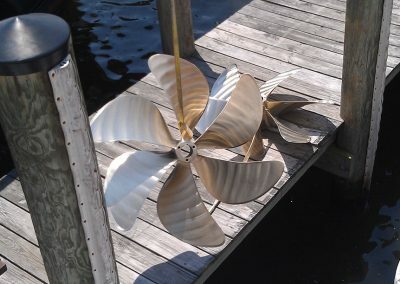 Need some propeller work done? 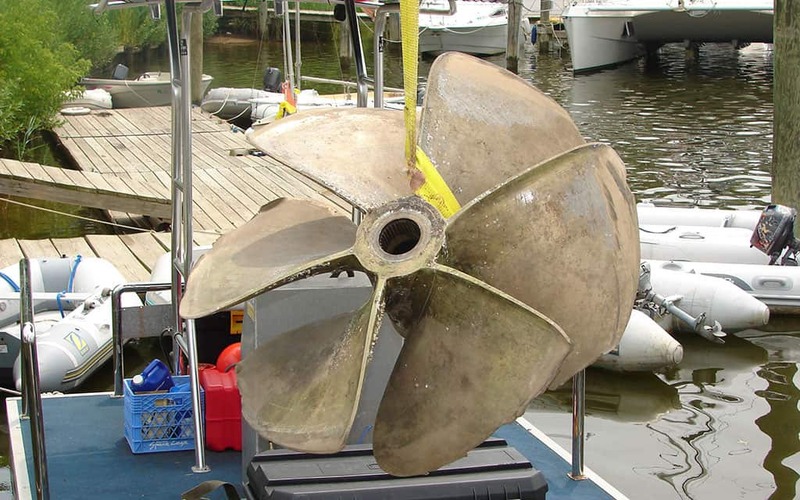 Harbor Diving & Salvage provides Annapolis and the surrounding areas with boat propeller inspections, removal, installation and drop off / pick up service when reconditioning or having pitch changes done. 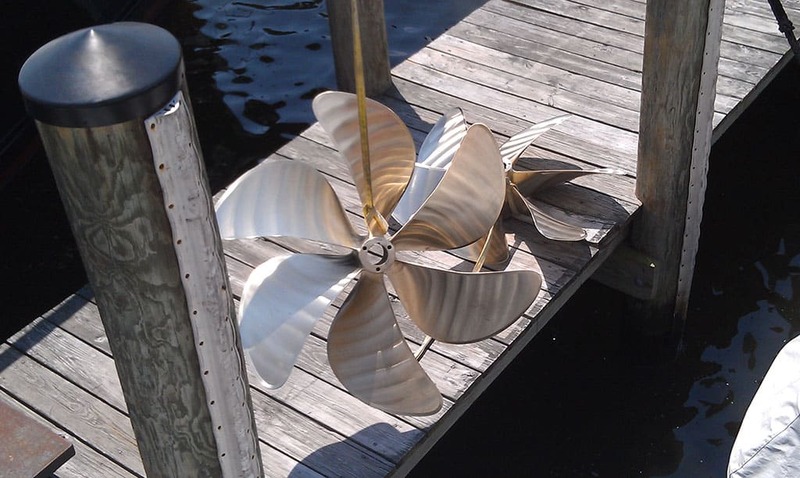 We have hydraulic, PropSmith, chain and plate pullers to remove your damaged propellers. 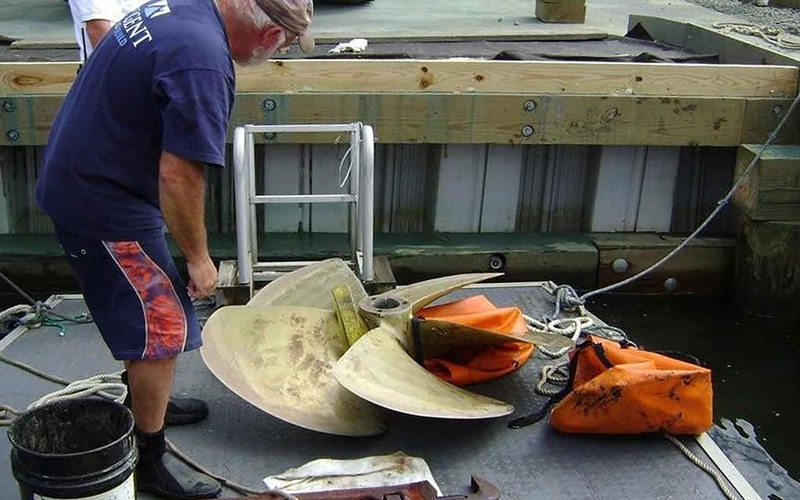 We have custom underwater lifting equipment to handle propellers up to 1000 lbs. We continually strive to offer the best possible service to our customers. 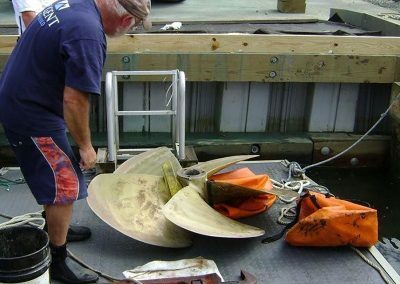 With great service, quality work and guaranteed customer satisfaction, Harbor Diving & Salvage will help you get your boats propeller running smoothly, while offering you both assurance, as well as peace of mind, the next time you and your boat set out on the water. Harbor Diving & Salvage offers fast and efficient services to save you valuable time and money. 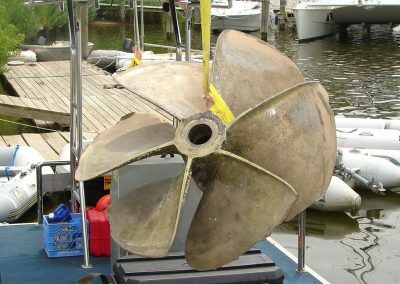 Underwater inspection or removal of your propellers is more economical than dry docking, and it keeps your boat in the water, where you both like to be. In need of propeller repair?